For design and verification engineers who are working with Verilog, SystemVerilog, Verilog AMS, VHDL, UPF, CPF, e Language, PSS, SLN, or SDL, the Design and Verification Tools (DVT) Eclipse IDE is an integrated development environment (IDE) that significantly improves productivity. Unlike plain text editors providing regular expression based capabilities, the DVT Eclipse IDE compiles the code and signals errors as you type, speeds-up code writing using auto-complete and quick fix proposals, and allows you to find anything you are looking for instantly. What the DVT Eclipse IDE can give you in seconds would likely have taken you several minutes or hours to find and do by hand. It is similar to well-known programming tools like Visual Studio®, NetBeans®, and IntelliJ® that are commonly used in the software world. Simplifies debugging and legacy code maintenance. Allows easy navigation through complex code. Increases productivity and reduces time to market. The DVT Eclipse IDE enables engineers overcome the limitations of plain text code editors and address today’s project complexity more efficiently. It enables faster and smarter code development and simplifies legacy code maintenance for novices and experts alike. The DVT Eclipse IDE consists of a parser, a smart code editor, an intuitive GUI, and a comprehensive set of features that help with code inspection, navigation, and debugging. In addition, DVT includes several capabilities that are specific to the hardware design and verification domains, such as class and structural browsing, signal tracing, and verification methodology support. The DVT Eclipse IDE is built on the powerful Eclipse Platform used by tens of thousands of engineers worldwide and inherits the best features and practices collected into the platform core. The Eclipse Platform’s extensible architecture allows DVT to integrate within a large plug-in ecosystem and work flawlessly with third-party extensions. On the fly standard compliant compilation. 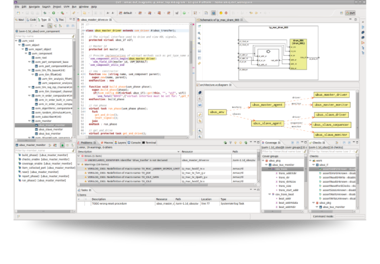 The DVT Eclipse IDE uses an IEEE standard compliant parser (IEEE 1800 SystemVerilog, IEEE 1647 e Language, IEEE 1076 VHDL, and IEEE 1801 Low Power). There is no need to invoke the simulator to make sure the code compiles without errors. DVT performs on-the-fly incremental compilation and as such, the editor highlights the errors in real time, as you type. Advanced code editing capabilities such as autocomplete, quick fixes, macro expansion, intelligent code formatting, refactoring, connect module instances, code templates, and in-line reminders for task tracking. Code and project navigation features such as hyperlinks, semantic search, class and structural browsing (e.g. 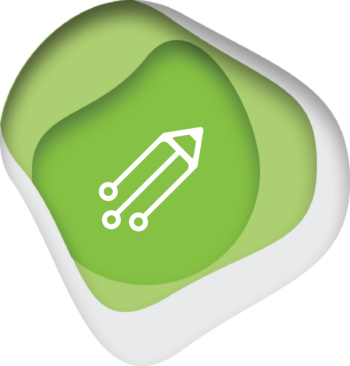 class hierarchy, design hierarchy), check and coverage views, dynamically created UML diagrams and design diagrams, and trace port connections. These features enable users to navigate easily through tens of thousands of code lines, locate the relevant information, inspect a class or module structure, and understand the source code quickly. Verification Methodology Support. The DVT Eclipse IDE supports the Universal Verification Methodology (UVM) , Open Verification Methodology (OVM) , and Verification Methodology Manual (VMM). It includes an UVM/OVM automated compliance-checking capability and a built-in OVM-to-UVM Migration Wizard that offers advanced transition capabilities using refactoring scripts. Integration with the NCSim , Specman , VCS , and Questa simulators for simplified simulation analysis and debugging. One can easily invoke a simulator and then visualize and browse its output on the DVT console through a smart log viewer. The log simulation errors and warnings are hyperlinked to the problematic source code. Integration with revision control systems like CVS , Git , Subversion , ClearCase and bug tracking systems such as Bugzilla. Cross-language capabilities for mixed-language projects allows users to work with source code written in multiple languages (i.e. SystemVerilog, Verilog, VHDL, e), navigate seamlessly through large projects, easily see the big picture, and understand the whole design. Customizable views. Besides the source code window opened into the GUI, at any given moment one can bring in and move around the necessary information, and look from a higher perspective or drill down into details. For example, a GUI perspective can include views of the source code, types, class hierarchy, layers, errors and warnings, tasks, macros, and diagrams. Quickly fix the errors flagged as you type (incremental compilation). Move around in the source code using hyperlinks. Speed up code writing and avoid typos using auto-complete. Continuously improve the code using refactoring. Easily create and reuse code and project templates. Understand the project using high-level structural views like class or design hierarchies. Trace a signal throughout the design. Visualize the project architecture using UML Diagrams or Design Diagrams. Place reminders and track tasks.